Port Jackson, containing Sydney Harbour, is the natural harbour of Sydney, Australia. It is known for its beauty, and in particular, as the location of the Sydney Opera House and Sydney Harbour Bridge. 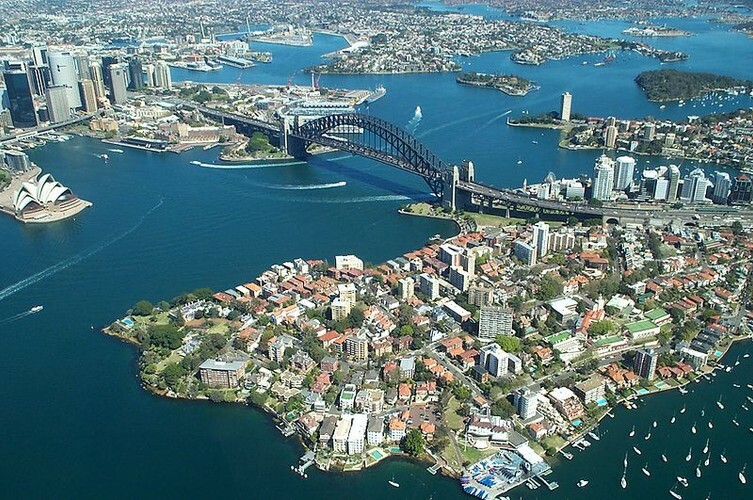 The location of the first European settlement in Australia, the harbour has continued to play a key role in the history and development of Sydney. It is used as the location of the New Year's Eve Fireworks and the starting point of the Sydney to Hobart yacht race.